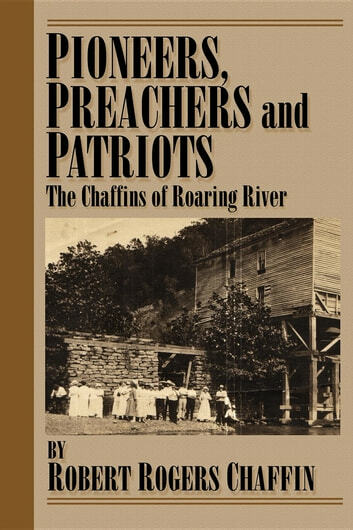 To Robert Chaffin, Roaring River will always remain the garden spot of the universe, the place that God had smiled on in a special way, the most desirable place to inhabit this side of the promised land. In telling the stories about this wonderful community, the author hopes that in some way it will bring to the reader's mind the sights, sounds and stories of your own past or will develop in you a greater appreciation of the courage and energy of your own ancestors. The story of the author's American ancestors is much like that of many American families who entered the colonies in the sixteen and seventeen hundreds, faced the hardships of settling a new land, the perils of numerous wars, political unrest and social upheaval but through it all placed their faith, family and fortune in the hands of an unchanging God, shepherding an ever changing land. 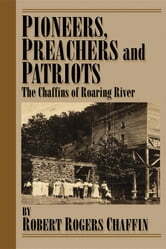 These Chaffins of Roaring River, were but links in a long line of Pioneers, Patriots and Preachers. Books related to Pioneers, Patriots and Preachers.